As an orthodontist, Dr. Lemke is committed to providing the highest standard of patient care, as well as observing ethical and moral values, and outstanding customer service. Trained in the most recent technology and developments in orthodontics, Dr. Lemke has been able to meet the expectations of her patients effectively with beautiful results. 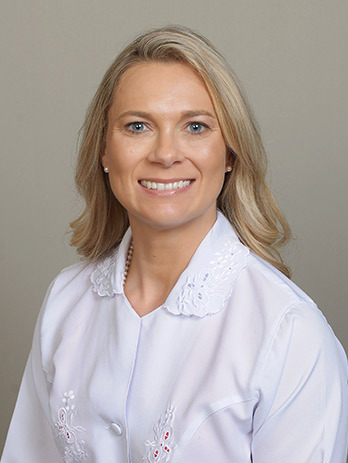 Dr. Lemke is an honors graduate of the University of Florida, where she received both her undergraduate degree in nutrition and her Doctorate of Dental Medicine. During her four years of dental school, she received the Dean’s Award, the Honors Award, and the Omicron Kappa Upsilon Award. Dr. Lemke completed her specialty program in orthodontics at Louisiana State University in 2008. While at LSU, she was awarded the Clinical Excellence Award in Orthodontics. Dr. Lemke was also involved in extensive research in orthodontics, the results of which have been published in scientific journals. Her research involved studying ceramic brackets (tooth-colored brackets) and how to serve patients better, especially more aesthetically. Dr. Lemke is also an active member of the American Association of Orthodontists, Western Association of Orthodontists, local study groups, and many local associations. Dr. Lemke enjoys bringing the most current and up-to-date orthodontic techniques to the practice. She coordinates with each patient’s general dentist through one-on-one interaction to make sure her patients get the best treatment. Dr. Lemke has been married to her husband Ernie for more than a dozen years. Their son Samuel was born in October 2010. Dr. Lemke enjoys spending time with the family, fellowship with friends, and traveling.